Home › I Remember When › I Know You Are but What Am I? What if someone (let’s say Pee Wee Herman, for kicks) told you that you could travel back to any time and place? I pondered this question for a few minutes and toured just a few of the almost endless possibilities. I toyed with the idea of co-discovering fire (okay, the controlled use of fire), nudging Neil forward so he had but no choice to take a larger step on the moon, and taking a selfie at the Beatles’ last concert at Candlestick. Ultimately, my curiosity settled on a time and place that, on the surface, seemed elementary but, deep down, quickly emerged as more miraculous than all the other possibilities combined. I’d go back to the day I was born. I’d visit my parents in the hospital to savor their exhausted happiness. From the corner of the room, I’d hide and return their cautiously optimistic smiles. I’d revel in the purity of the moment shared between two new parents, my parents – their excitement draped in relief, their eagerness wrought with immediate parental concern, their stomachs undoubtedly groaning with joy. Confined to the sterility of a hospital room, submitted to nurture and subjected to nature, this is the time and place I’d want to see. I’d bring a notepad to capture their movements, dialogues (maybe not all of it), the sounds of their whispers, and the intertwining of their hands. I can only imagine the beauty of my parents on that day, even though I was technically there. I’d try to paint my mom and dad in the paradoxes of becoming new parents: electrified yet drained, resolute but – let’s be honest here – overwhelmed (there were two of us, after all). I’d jot down the statements that blurred into questions: Twins…? All ours…? 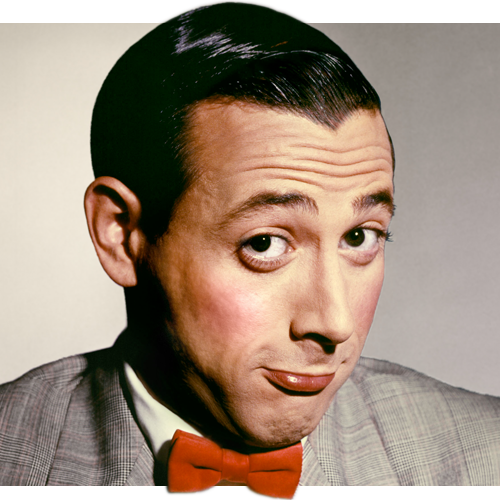 By the way, what does Pee Wee Herman have to do with any of this? Nothing. Zilch. I guess that I’m just a loner, Dottie. A rebel. Okay, I had a slight obsession as a kid. I stumbled across this posting. Love it. Thanks. Great 🙂 Appreciate it my friend. Love the reflection on how new arrivals bring excitement and fresh joy! Knowing what my parents went through at my birth ( a hard home birth), I’m not sure they would be ready to see the me I am now appear before them. It would be worthy of a story though. what a great idea! A day each of us was the center of attention yet we have no way to recall the events…but through what others remember! Love this. I’d definitely want to see the look on my parent’s face the day I was born. Just so unaware of the chaos I’d ensue on their lives for the next eighteen years! I know, right? Haha, love it. It would be amazing to go back and see their faces. Part of the reason I likely responded to this prompt in this way is I got to visit our friends a week ago who just had a baby. It was so awesome – subtle differences, but as a relatively new father, I could totally relate and they became that much more apparent. Not to be overly dramatic, but it was beautiful – humbling in so many ways! Thanks again for the comment, appreciate it! Now get out there and cause more chaos! If I had a time machine | The Bohemian Rock Star's "Untitled Project"